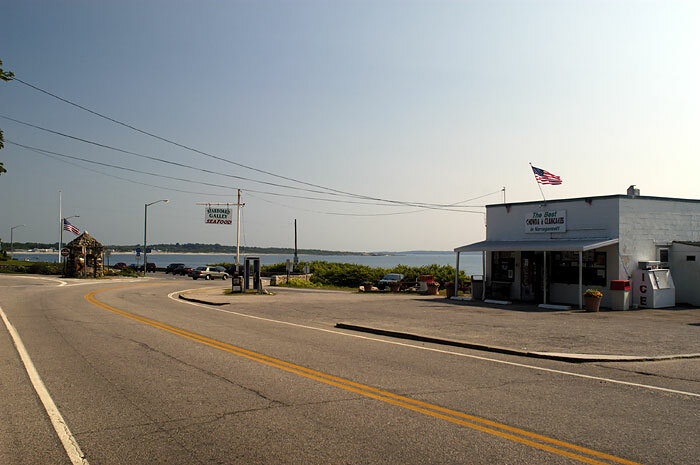 The favorite snack shop with the locals is called the Starboard Galley, and has fried clams and other seafood options. 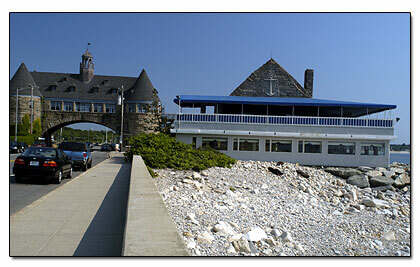 It's located south of the town beach, past the Narragansett twin towers, go about 3 blocks, and it's sitting on the left by the waters edge, a real small building. 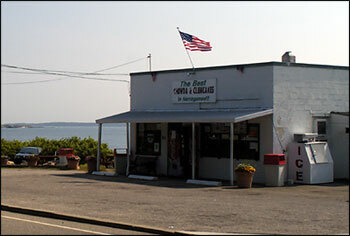 Their sign says they have The Best Chowda in Narragansett. You eat outside at a picnic table. See a large picture. 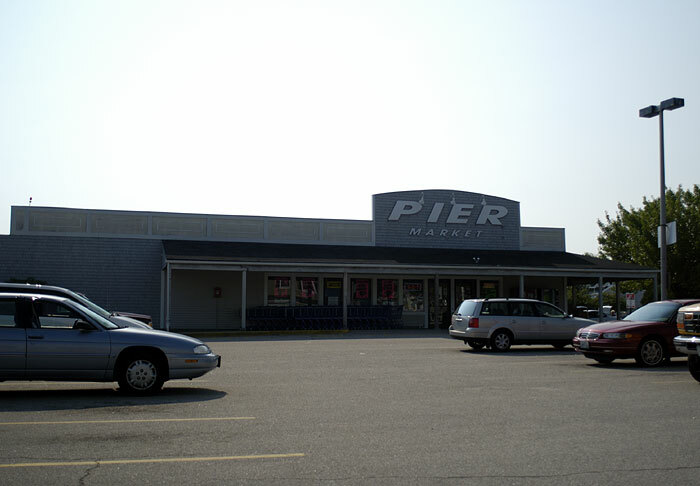 Here's what we do though, inside that big area where the condos are, (see directions below) we found a small hidden grocery store, it's called the Pier Market. 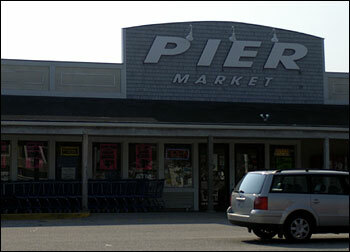 We just go there to get our food, ice, drinks and snacks. 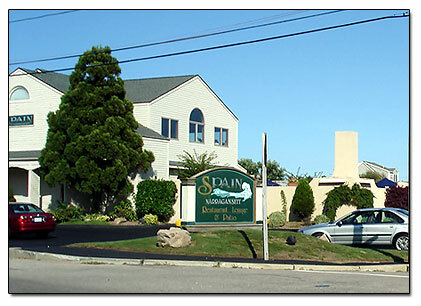 Spain's Narragansett is at 1144 Ocean Rd., Narragansett, RI 02882, 401-783-9770 This is a very popular restaurant and is considered romantic, but it is busy all the time. -What's at the RI Interstate 95 Exits or RI Route 1 Exits?